What happens when you have anxiety? People who suffer from an anxiety disorder have intense worries and excessive fears on a daily basis, this affects the way they work, how they form new relationships and overall it makes their daily life difficult. Usually, the anxiety is created after being involved in a situation of major panic, leaving sequels in the body and mind of the person. But there is not only one single type of anxiety, the world of psychology divides the types of anxiety according to their symptoms and each one of them has a different treatment. If you know what type of anxiety is invading your life, you have more opportunities to treat it in time and improve your life. 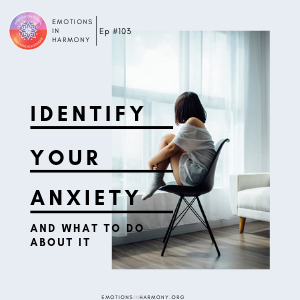 In today’s episode, Dr. Carmen Román explains the different types of anxiety, phobias and ways to treat them. She will also give us some tips and daily habits to improve our life quality while step by step we eliminate that anxiety of our life. Alternative methods to make your psychotherapy appointments more effective. Next Post¿Soy un Inmigrante con Creatividad?